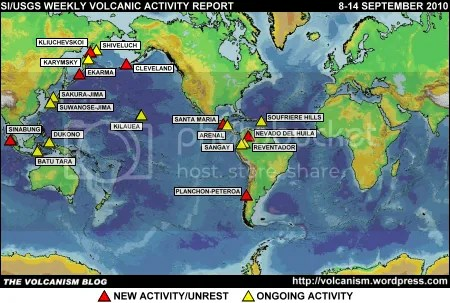 The foregoing is a summary of the Smithsonian Institution/United States Geological Survey Weekly Volcanic Activity Report covering 8-14 September 2010. It is provided for information only, and is based on but not a substitute for the full report, which comes with its own criteria and disclaimers. The map base is derived from the Smithsonian Institution/USGS/US Naval Research Laboratory This Dynamic Planet website. I just would like to drop this note – Ralph great you’re back to full activity! Obviously we have the excellent Eruptions blog but yours, rather than competing, is doing a phantastic job in complementing it. Rubén: thanks for the tip about the Planchón-Peteroa webcam, I’ll add a quick post giving that link. The OVDAS page NEEDS a ‘fashion emergency’ soon. What do you want to subscribe to, Dorothy? Guillermo: I agree with you, Guillermo, OVDAS page must be redesigned. Heh, I came to write a note thanking you for writing the blog again, and Boris beat me to it. Thanks so much. 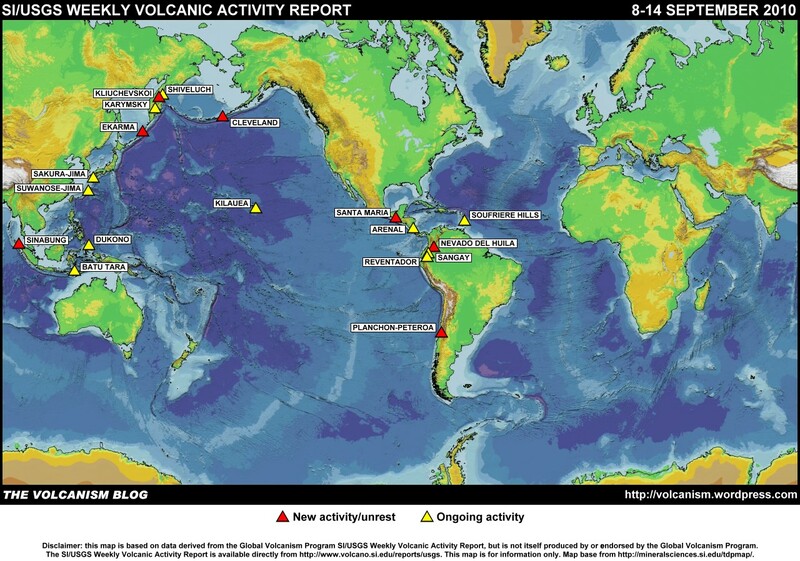 I especially appreciate how you present the weekly volcano report– i’ve never quite got the hang of finding the new reports easily, but I know I can turn to your blog for an easy read. Thanks for all the other reports, quotes and pictures.